This is an oldie, but a goodie. Makes me a bit sentimental to realize I wrote this two years ago and now my toddler is registered for Kindergarten. (Sigh.) 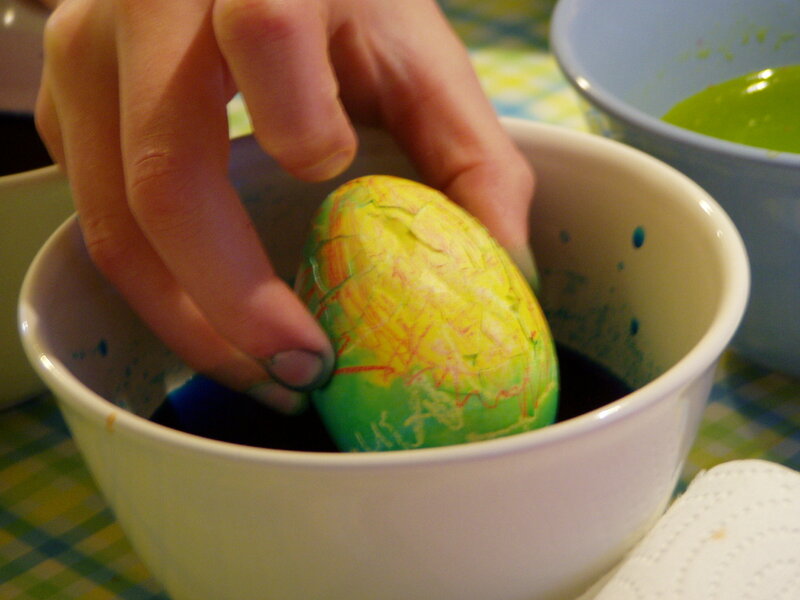 Dyeing eggs was more fun than frantic this year. I feel the me from two years ago would want to smack the me from now upside the head for feeling nostalgia instead of joy. She’ll want to see how far she can throw it. She’ll want to know why we are going to kill the Easter eggs. She’ll drag over her red kitchen stool so she can see over the counter. She will grab the cup out from under the pouring stream to look inside. She will ask you why the cup is empty.